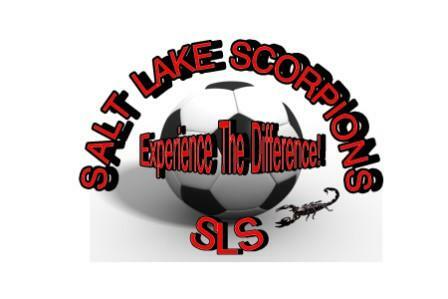 Salt Lake Scorpions (SLS) was organized in 2001 with the idea of providing a more unique and personalized soccer experience for players and parents. The goal of SLS is to provide a highly organized Competitive Soccer program overseen by professional, licensed coaches. SLS is committed to helping each player achieve the skills and confidence to reach their full potential. 1-SLS Premier-A Highly committed and competitive team that has as its goal to compete at the highest levels of soccer in and out of the state, premier and or high level tournaments and compete to win the annual state cup tournament. Playing on an SLS Premier team will require greater commitment, dedication and players will be held to a very strict and standard. Players desiring to play on an SLS Premier team will be selected first on their desire and willingness to commit to a premier level and Secondly on their ability to play and compete at the premier level. 2-SLS Select-designed for those players who desire to play competitive soccer without having as the ultimate goal to play at the highest levels. Select level teams will be designed to be more flexible and accommodating to players who may have other interests and or commitments. Select level teams will be selected based on a players desire to play competitive soccer. Competition commitment will still be required when playing on a Select competitive team. Coaches may be more flexible to a player's occasional miss. Our tryout format is second to none. Tryouts can often be stressful and players often feel that they were lost in the crowd or were not able to perform or show what they can do. Players may often feel coaches are showing favoritism to former players. New players or recreation players often feel inadequate when entering the competition program. Our tryout process has eliminated these issues. The tryout process is simply to help us determine the best place for your player. Our goal is to develop new players and help good players become better! With the developmental pass players may have the opportunity to play back and forth on various teams within our organization. Station #1Agility-Players will be able to demonstrate their coordination, speed, strength and endurance. Station #3Shooting Drills-Players will be able to demonstrate their shooting on goal ability, corner kicks, chips and so forth. Station #4Small Sided Games-Players will be able to demonstrate how they perform in a game situation. 6) Where did you learn of the SLS Soccer Club? 8) If you selected a competition team which clubs/teams have you played for and for how many years? 9) What position would you like to play?